I was pondering while munching Bobby Flay's Throwndown chocolate chips cookies... wondering why did Bobby Flay lost this challenge to the famous Levain Bakery. Hey! 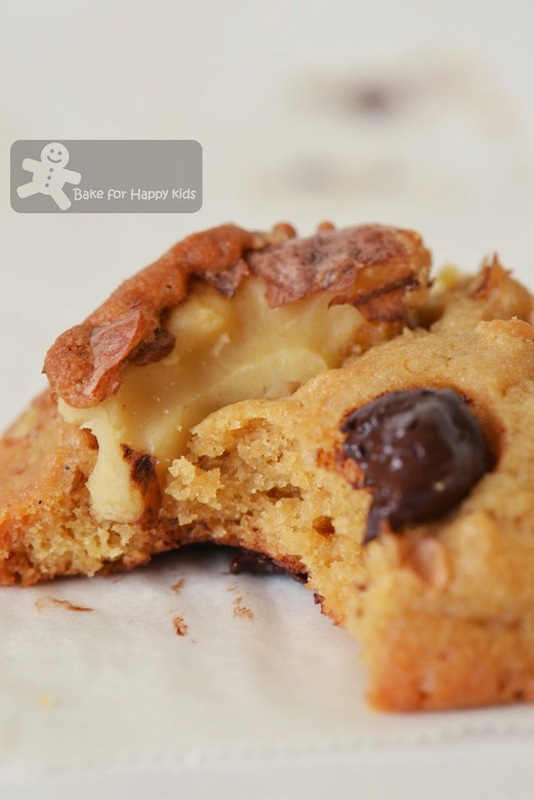 These Levain Bakery like chocolate chip cookies are also nice cookies TOO! What really makes these cookies so special and good? Untypically, these cookies are made with bread flour, cold butter and cold eggs. Is this untypical combination produce a different texture in cookies? I would say so. These cookies are extremely heavenly when they were freshly baked. On the day when they were baked, they were crispy on their outsides and crumbly in their insides. On the next day, they taste like rock cakes with lots of comforting bites. Levain Bakery like Chocolate Chip Cookies! Yummy! 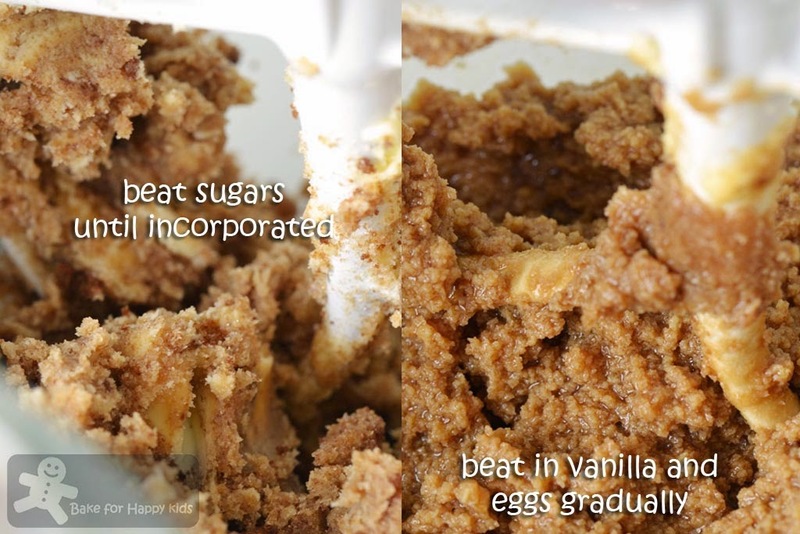 Unlike most cookie recipes, this uses cold butter and eggs. No surprising that this cold egg-y batter will be lumpy. The naughty me had a taste of this cookie dough and it is so yummy! I added walnut in 1/4 of the recipe so that I can packed the nut free cookies for my boy's school snack. Enjoying this? Yeah! There is not a thing that I can do about it. Line a baking tray with baking paper; set aside. Using an electric mixer, beat butter on low speed for about 1 min until slight softened as it comes together in one cohesive mass. Add both sugars and continue to beat for another 1-2 min or until the sugar has been incorporated into the butter. Increase beating speed to medium and add eggs gradually into the mixture while beating and continue to beat for about 1-2 min. 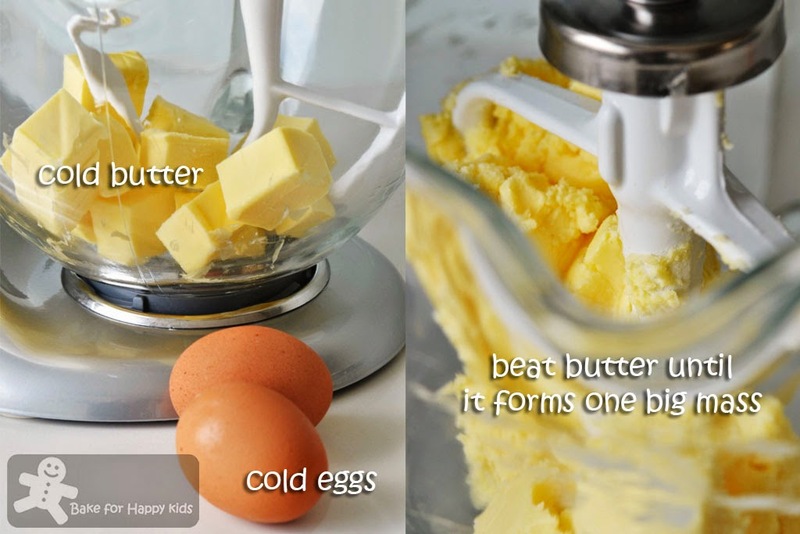 As the eggs and butter are cold, the batter will appear to be lumpy. Turn off the mixer and remove the mixing bowl from the mixer. Fold in sifted flour mixture into the butter mixture until well incorporated. Then, stir in the chocolate and nuts until well combined. Chill cookie dough in the fridge for at least 30 mins. 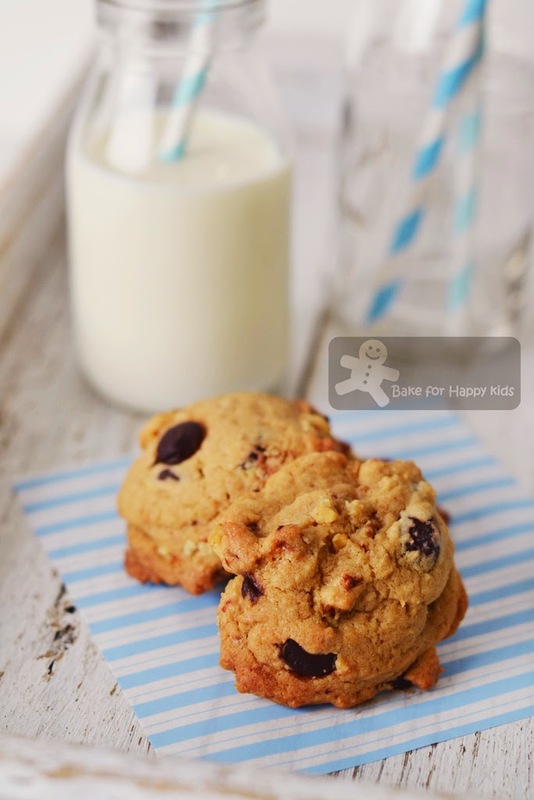 Using a small ice cream scoop or by hand, divide cookie dough into about 2 tbsp sizes and roughly shaping them into balls and place them on the prepared baking tray with about 5 cm apart from each other. 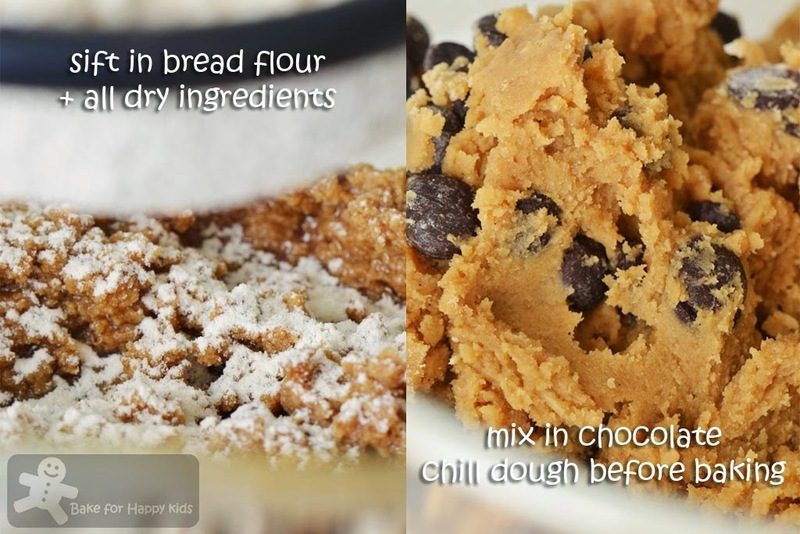 While waiting for the cookies to bake, keep the excess dough in the fridge until it is required to shape and bake. Preheat oven to 375°F / 190°C or 170°C fan forced. Bake for 12-14 mins, or until light golden brown on top. 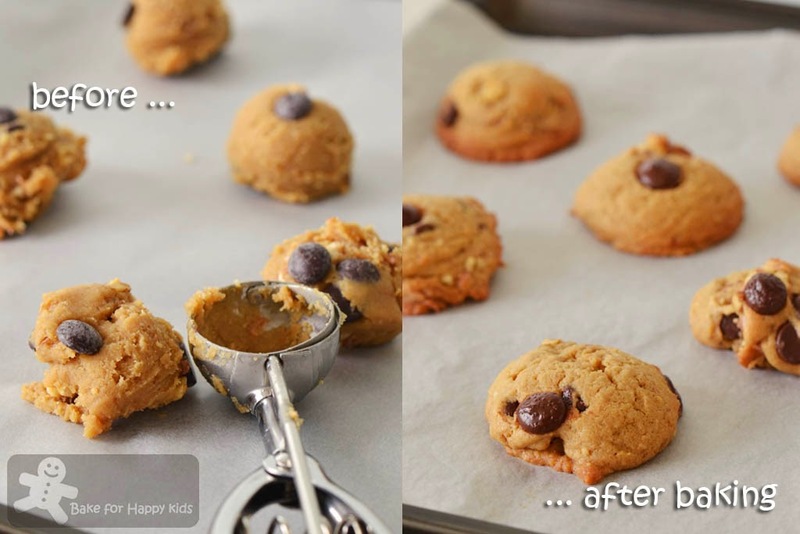 If you are baking two trays of cookies at a time, swap their positions at their mid-baking time. Let cool for 5 mins on the cookie sheet, then remove to a wire rack to finish cooling. Leftovers can be stored in an airtight container at room temperature for up to 4 days. Zoe, you are making me hungry early in the morning, looks yummy! I straight scrolled to the ingredients and then I screen shot/ print screen the ingredients already.. I dont mind lumpy batter, it's still workable.. Might use an ice cream scoop like you.. Your cookies look so delicious.. Your family is so lucky, they have nice cookies/cakes/pastries to eat everyday! Looking at your cookies, I really thought I could smell the chocolate chips aroma through my screen here too! I know it is real good! I feel like everywhere I've gone for the past few days I keep hearing "chocolate chip cookies." It's like the universe is telling me something. It has been quite a while since I last baked any chocolate chip cookies. And these looks delightful! 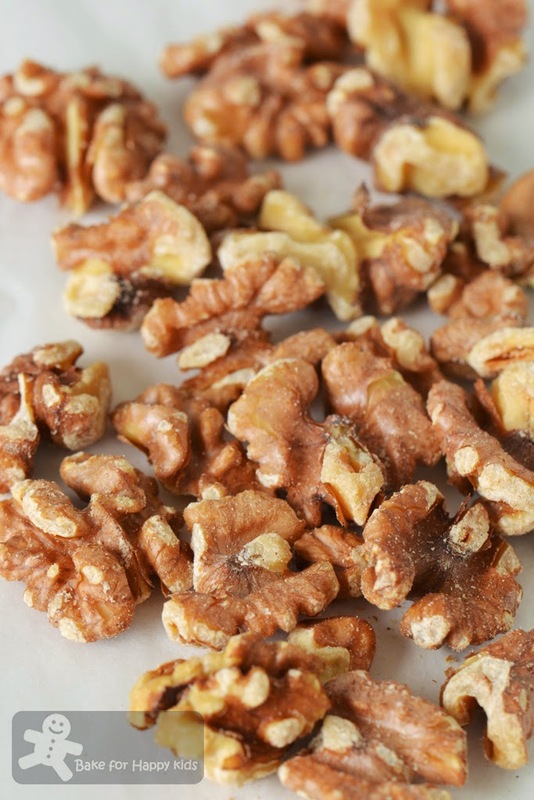 I love the idea of putting walnuts in the cookie mix... yum yum. I would love to have these with cold milk. Hi Zoe, when I see these cookies, it remains me Christmas is coming and I'm going to a lot of cookies to give away. These cookies made from bread flour?? Ok, must try!